Brush too hard: Although physical abrasion is important for teeth and gums, brushing with too much vigour can take off the top layer of enamel. If your toothbrush is worn out within two months then this is a sign that you are brushing too hard. Forget the gums: Plague takes 24 hours to calcify. Without brushing in between your teeth or flossing at least once a day, debris and plaque can remain in the most vulnerable area – lodged between teeth and gums. UltraDEX Interdental brushes are an easy way to reach unreachable places. 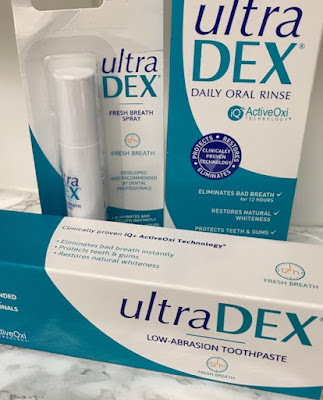 Rinse with water: You should use a high quality, alcohol-free rinse which contains fluoride, such as the UltraDEX Daily Oral Rinse as the final stage of your routine. This leaves protection in your mouth rather than water washing it away. Let issues go unseen: If in any pain see the dentist straight away. If you have an ulcer for more than 10 days see the dentist. Eat fruit first thing: Moisture from food such as fresh fruit is the perfect antidote to morning bad breath. The high water content supplies the necessary moisture, the fibre acts against the debris and the sugars activate saliva production. Electrify your brush: An electric toothbrush allows any dexterity difficulties to be overcome, as well as elevating the brushing action needed. Make sure to focus on the area where the teeth and gums meet, as this is where the plaque is most likely to form. Wait after your juice: If you drink something acidic, wait at least 1 hour before brushing your teeth. Go to the hygienist: Every 3 months. If everything is healthy, then see the dentist once a year. Rinse in the morning: Commonly, extra steps above brushing are left until the evening when people have more time. Rinsing only takes 30 seconds and with UltraDEX Daily Oral Rinse, fresh breath confidence lasts for 12 hours.